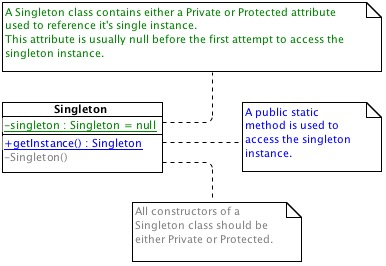 The singleton is a design pattern used when it is needed to have one and only one object of a certain class. As the singleton instance can be accessed from anywhere in a system, this design pattern can be used to coordinate actions, or to replace global variables. 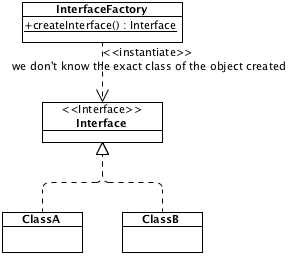 The Factory is a design pattern used when it is needed to create objets without having to specify the exact class to implement. We only know need to know the general usage of the implemented class, not the internal operations. - or from a class implementing a known interface.